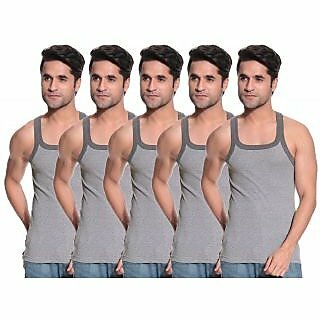 Shopclues is offering best Offer on TSG Escape Men's Gym Vest - Pack Of 5 - Light Grey Melange . Here we can get 75% Off on this Product. Coupon code : SCBMPS15 . Use this coupon code to get this discount.